Nine beautiful sunrises (amaneceres) radiate energy along the facade what could have been an ordinary parking garage building. 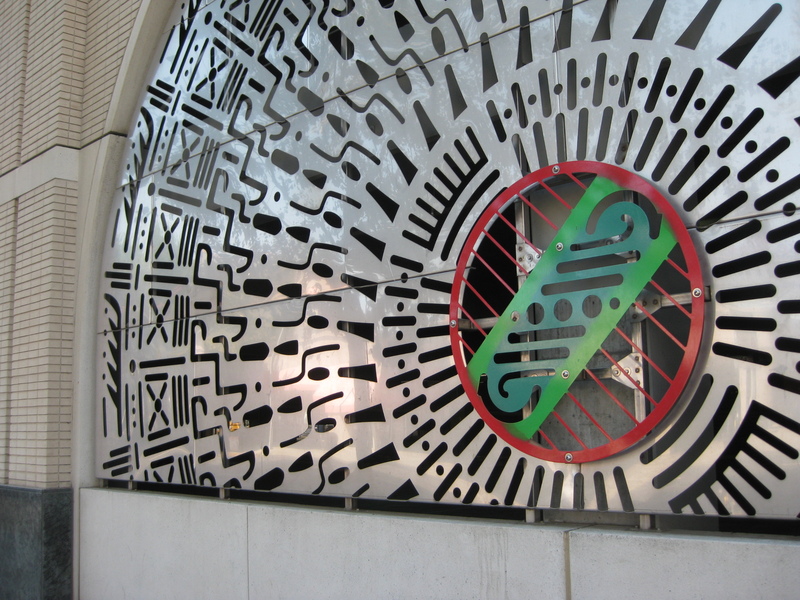 From the corner of 16th & J, the 16′ high cut steel grille arches, called rajas, extend down each block (1). 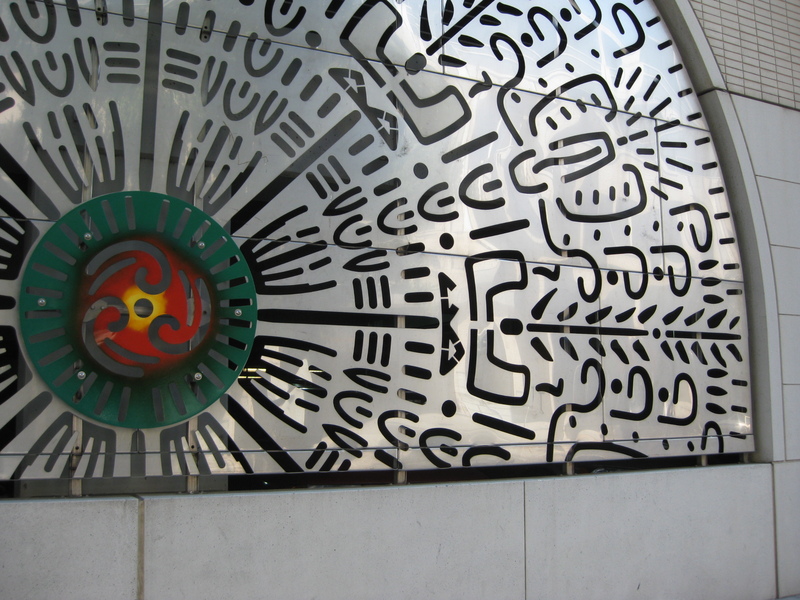 The artpiece is called, Amaneceres de Sacramento, and it was created by Victor Mario Zaballa, an artist from San Francisco. The rajas were inspired by wrought-iron tracery placed over doorways in 16th-19th century colonial hacienda and mission architecture of Mexico (#). 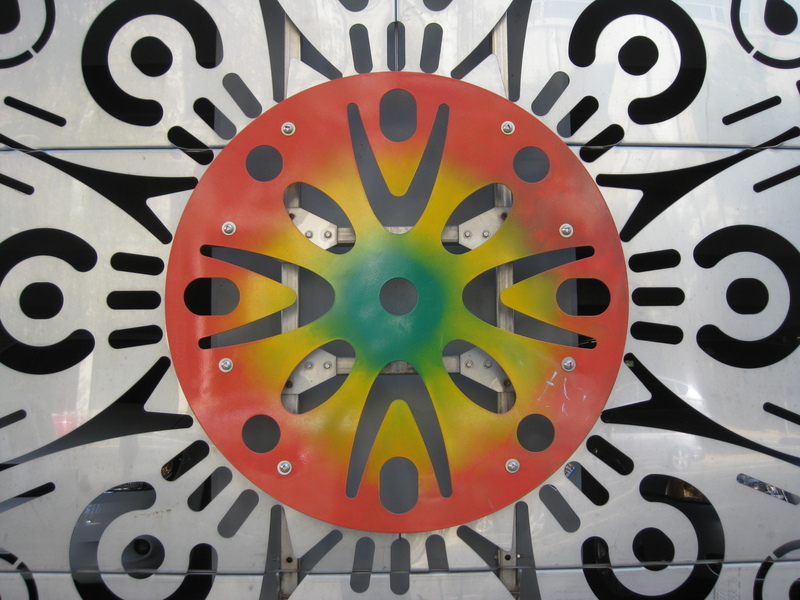 This piece was created as one of about two dozen art pieces by different artists in the Capital Area East End Art Program. 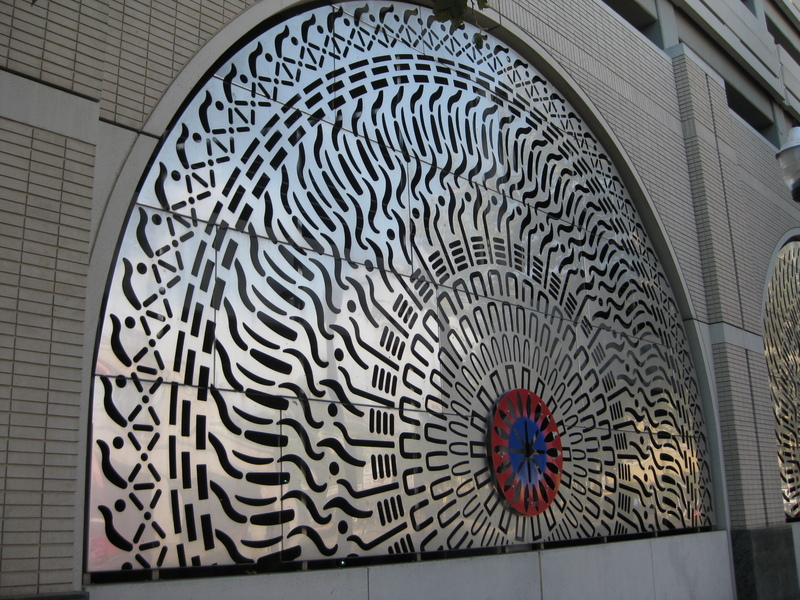 Last September, I posted on a metal grillwork piece by Gale McCall that is also part of the East End project. 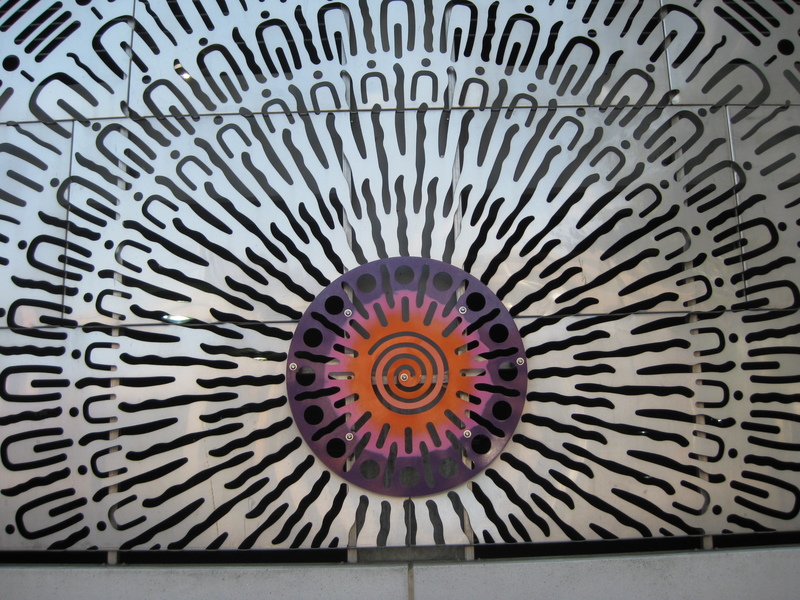 The various shapes within the arches form layers of concentric arcs and these contribute to the radiating energy emanating from the central “sun” image. 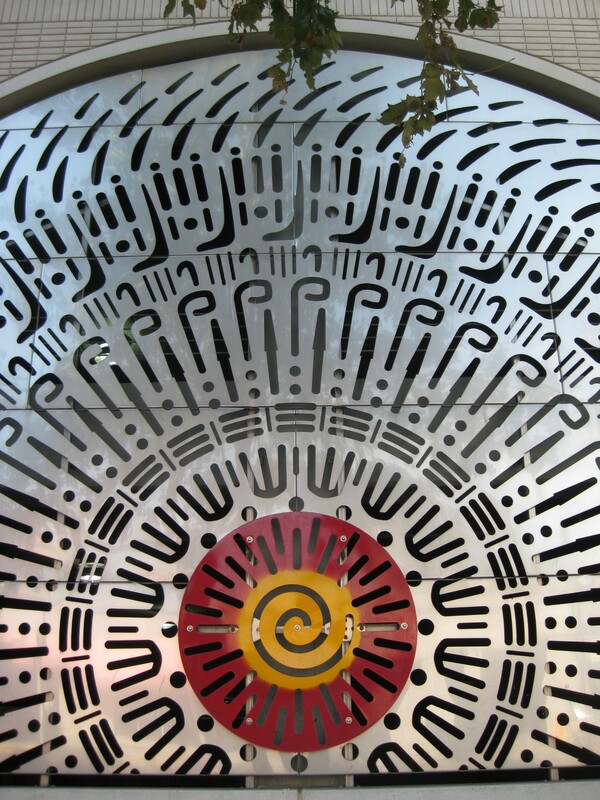 Zaballa and his long-time partner, Ann Chamberlain (who passed away in 2008), collaborated in 1999 on a project for the Mexican Cultural Heritage Gardens in San Jose (3). 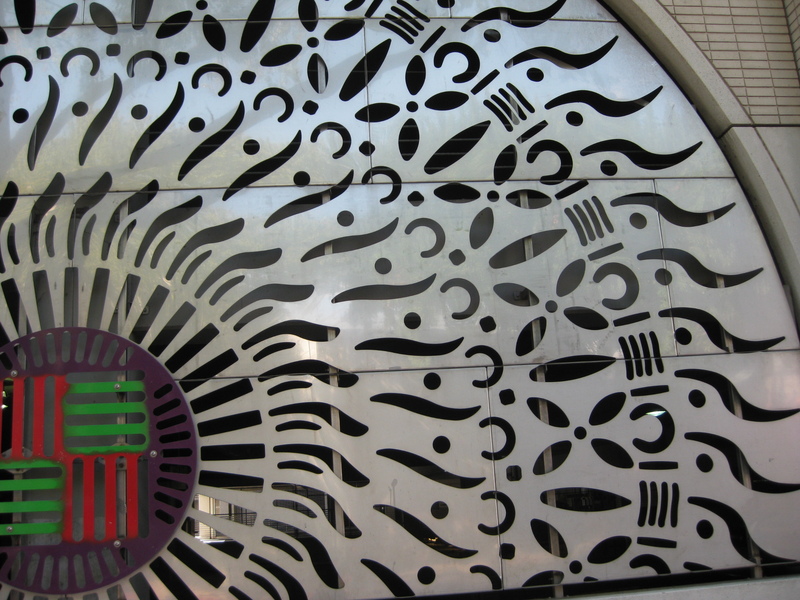 Images of their art for the San Jose gardens can be found on the Google Books page for a book titled, Designing the World’s West Public Art. 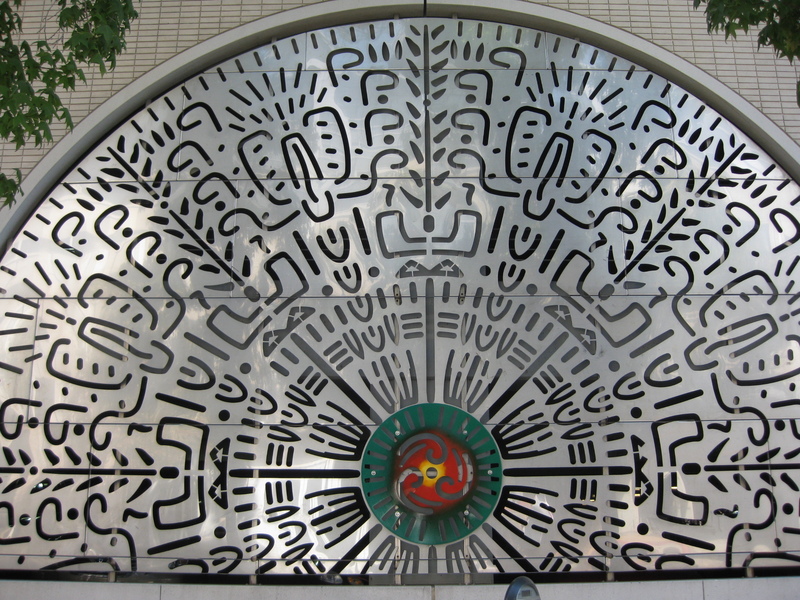 The book describes the theme of their collaborative artpiece as, Cemanahuac, or “the location of the individual within their community and the cosmos.” Over 500 community members drew on their personal histories and participated in creating this piece during a series of public workshops (4). In an interview with Shuka Kalantari, Zaballa describes how he survived liver failure some years ago (5). He was on dialysis for seven years while he waited for a transplant and during that time the viens in his arms swelled from the dialysis to the point where he could not create his art. He eventually had a successful transplant and has returned to his art. 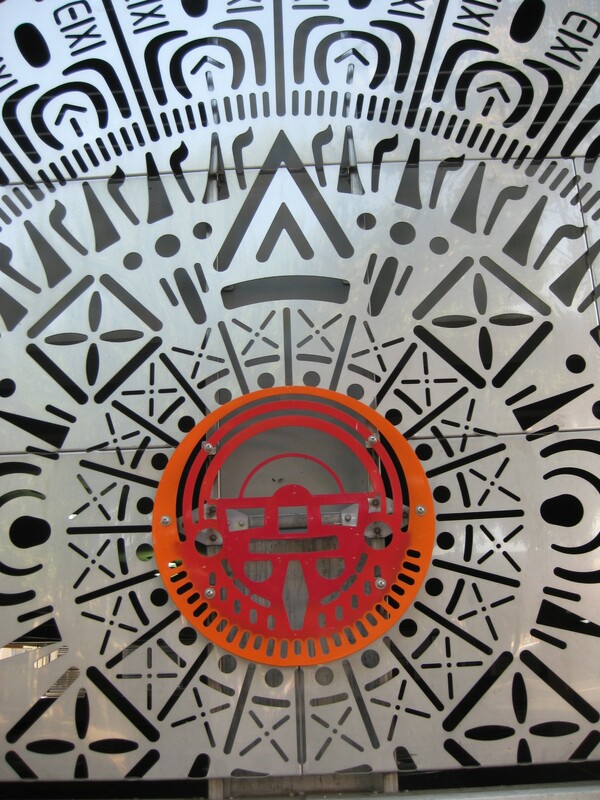 The interview discusses the cultural implications of organ donation and transplant in the Latino community, and it also includes a slideshow video of Zaballa and some of his art. 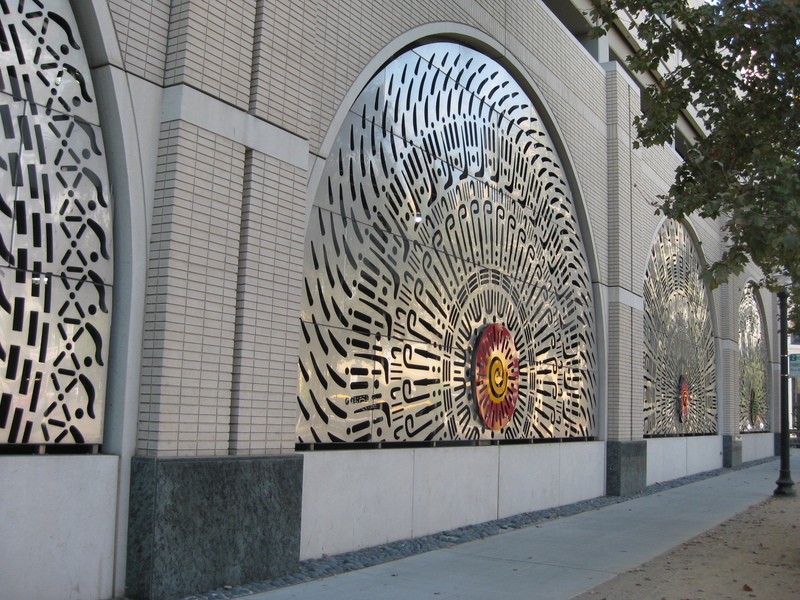 Next time you drive, walk, or ride along the East End Garage at 16th & L, take a moment to notice and enjoy the warming energy of nine rising suns. 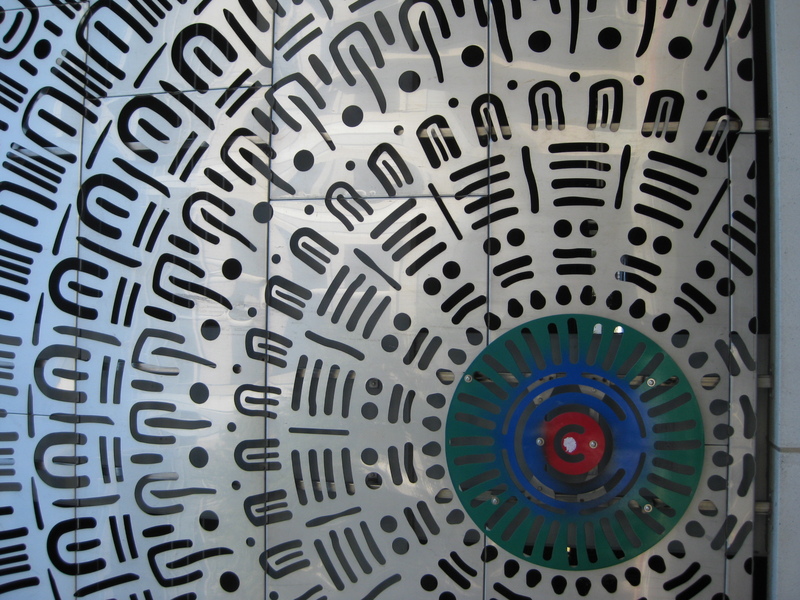 Another set of photos are available at the CA.gov main page for this artpiece. I love the detail in these works. The mastery to make this out of such strong and unforgiving media is inspiring to try to make things that are not the easy way. Considering the health challenges for this artist, it is even more inspiring. Thanks for sharing.